Discussion in 'Mobile Tips/Plans and Internet Discussions' started by yomitech.com, Oct 3, 2016. Lots of new innovations are gradually taking over the technological world. The 2D technology is gradually giving way for 3D. If you ever want to get the best out of your images, then 3D is the best way to go. Although some smartphone manufacturers are already implementing 3D camera into their smartphones, but this is only available on a few high end devices. Although there are numerous apps on playstore that actually lets you take 3D images on your android smartphone, in this post i will list out five of the best you can get out there. 1. Phogy: This is one of the most popular and also one of the best 3D camera app available. Using this app is very easy as all you have to do is to click on the camera icon and move your phone round the object towards the right direction. This app is also intergrated with different social networking sites which makes it easy for you to share your 3D image in either Gif or high quality mp4 format among different social media platforms or through e-mail. You can also use the created image as your phone's wallpaper. 2. Make It 3D: This is also another great app. This apps turns normal images to 3D pictures. It creates anaglyph stereoscopic 3D image with your phone's Camera. Another cool thing about this app is that you can use it to create a 3D image from pictures you already have in your gallery as long as those images are slightly spaced apart. The only downside about this app is that you can't get a high quality image with the free version of this app unless you upgrade to the pro version. 3. Camera 3D - 3D Photo Maker: This is one app that can let use create an actual 3D image that can be viewed on a 3D monitor or 3D TV. This app comes with some great features like the ability to create a 3D selfie image with the front camera. You can also make modifications to images even after it has been taken like change the image position, deleting or blurring some part and you can also add 3D text to your image. 4. 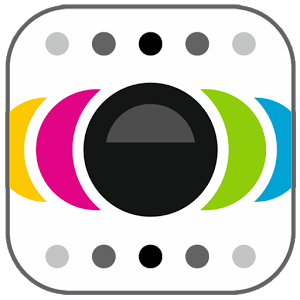 3D Camera: This is a very simple and straightforward app. It lets you take a 3 dimension image which can even be converted to gif format. It is intergrated with the social media sites which makes Sharing very easy. The app supports cross-eyed stereogram creation, automatic cropping, animated gif exportation and social network sharing. 5. Camera 3D: This particular app is very different from the rest. With Camera 3D, you can take as much as 99 images and use it to create just a single 3D effect. This app uses some inbuilt software to merge all your pictures together and create a 3D effect with it. It also doubles as a form of social networking platform where you can share your images and also view others. So guys, here are five of the countless number of 3D camera apps you can get on playstore.